Our first meetup of 2019 is one that we’re super excited for! 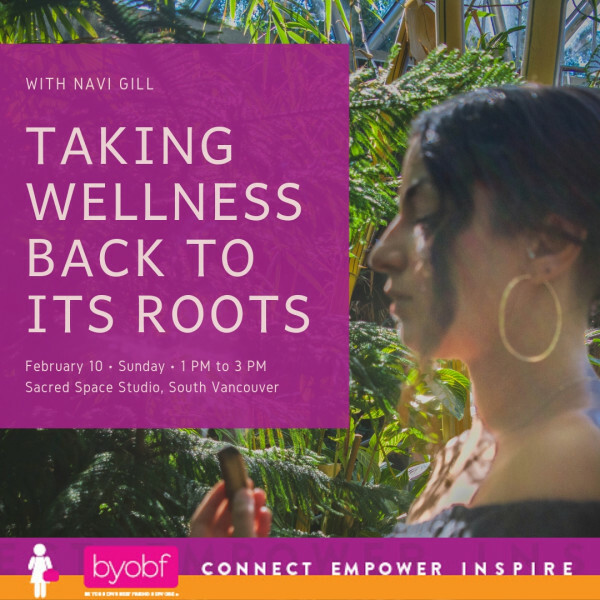 Join Ayurveda Practitioner and Holistic Wellness Educator, Navi Gill and the BYOBF Network, for an afternoon of understanding the origin and ancient technique of Ayurvedic self-care rituals rooted in India. For centuries communities of women have gathered together to share sacred wisdom, learn new skills, and strengthen the divine feminine energy, but over time the art of gathering in community has been lost. Together we will explore the concept of decolonizing wellness, relearning Ayurvedic self massage, ritual, and the importance of reclaiming indigenous ancestral medicine as a form of individual and collective healing for women of colour. We only have a limited number of spots, so please pre-register for $30 via our Meetup Page.